Made from plant fibre – regenerated wood pulp. 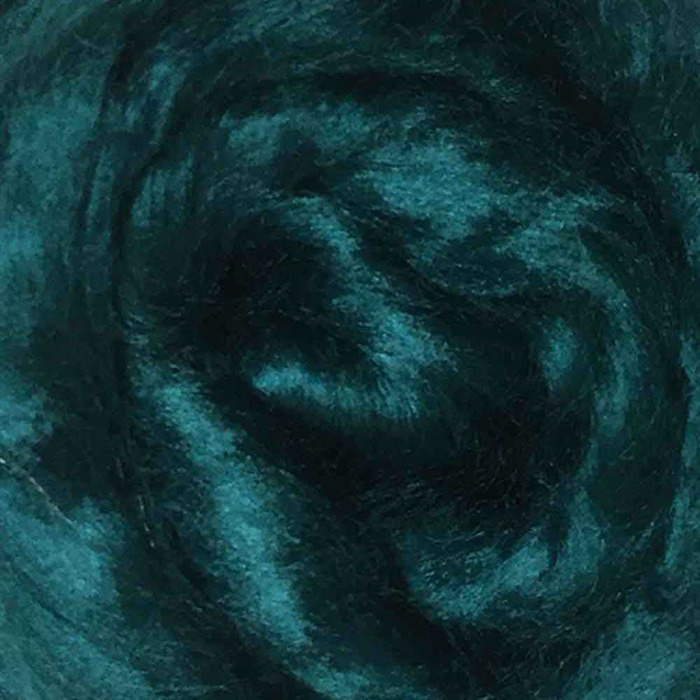 Ideal for felting, spinning, faux silk paper and other fibre arts. Viscose fibres can be laid out quicker and more easily than silk roving as there is no static electricity. Complying with GOTS (Global Organic Textile Standard), this cellulose fibre is organic. 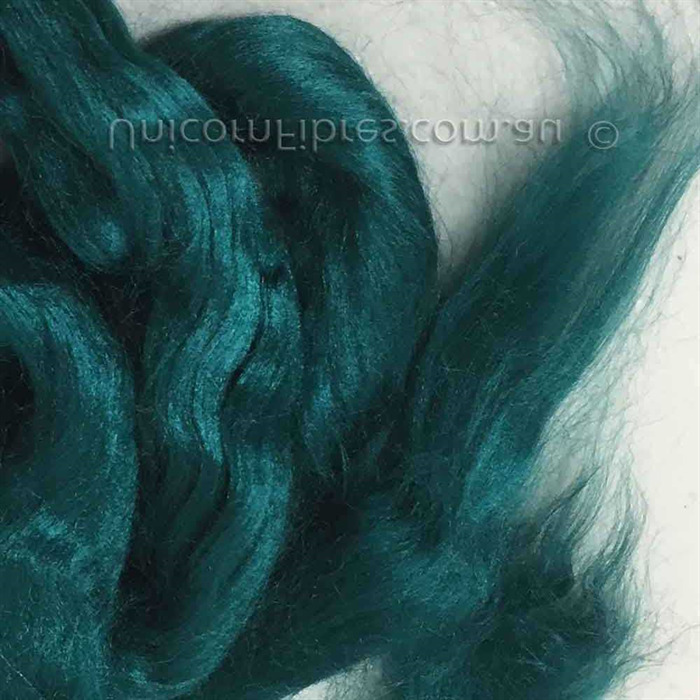 Viscose is also a cost effective alternative to silk roving. Viscose can be used in felting, spinning, paper making, textile art. Viscose fibres will not felt on their own as they have no scales. As it is a cellulose fibre, viscose can be dyed using fibre reactive dyes and natural dyes. In felting, laying viscose over the entire surface of the wool adds a wonderful lustre, strengthens the felt and reduces pilling. It can be laid in fine shingles, or in long thin strands to achieve different textural and shiny effects. A little goes a long way. Imported from Italy, dyed by Dyeing House Gallery – Oeko-Tex certified. Colours may vary depending on your device’s monitor settings. When paying by bank deposit, please confirm transaction by email to info@unicornfibres.com.au Order will be processed once funds are received. This may take 2-3 working days depending on your bank.